My own introduction to rivers came during a river rafting experience in 1970 on an 8th grade science club trip to the Stanislaus River in California’s gold country. I remember being enthralled by the experience. It's that time of year when we make lists of resolutions to improve ourselves and our lives in the new year. River life teaches us a lot about living. Below are a handful of river-inspired lessons for my resolutions. Take 'em or leave 'em, but at the very least I hope you enjoy 'em. Happy New Year! With Idaho's snowpack at about 130% so far this year, all signs are pointing to a great rafting season for the Northwest. 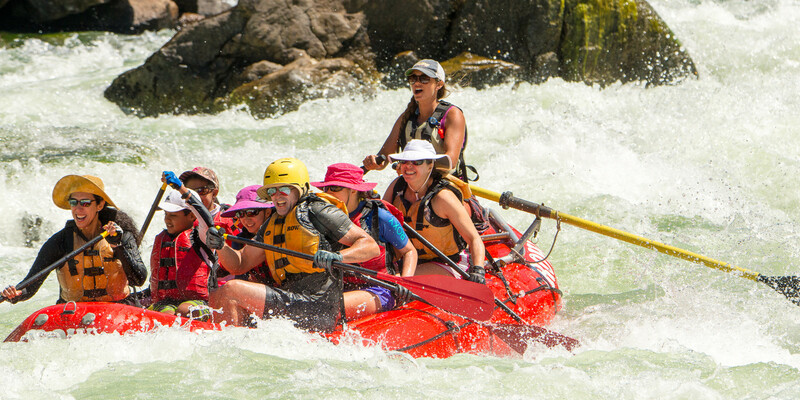 Plus, big snowpack means great spring rafting - whether it's bigger rapids or being able to access rivers that are sometimes too low to raft in low snowpack years, big snowpack means a lot of spring fun. For a few calm moments I close my eyes listening to the peace of the canyons and distant crash of the river around the bend. Eventually the soft white noise is broken with laughing children, hooping and hollering adults, and swift oars slicing through the water. Running rivers makes you feel that every time you have a clean run, it is by the grace of a more powerful force and at anytime, something different could happen and surprise you. For some river guides, the move to river season is as simple as driving their car with the few belongings they have to the warehouse. For the ones that have a semi-permanent residence in the winter, this process can be a bit more complicated. Either way, river guides get excited when their season comes around! Here's how we prepare to head back to our summertime homes. #ExploreDeeper: What is the "Wild & Scenic Rivers System"? In the middle of the 19th century, it became very clear that our natural landscape was changing dramatically, for the worst. We weren't taking care of our rivers, and it was very apparent; rivers were being dammed, modified, eroded and polluted faster than we could understand.